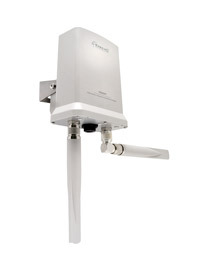 The Hi-Gain Outdoor 2.4GHz Wireless-300N Dual Radio Smart Repeater is an advanced Wi-Fi connectivity solution that receives and rebroadcasts your Wireless 802.11b/g/n network, inside or outside of your home or office. 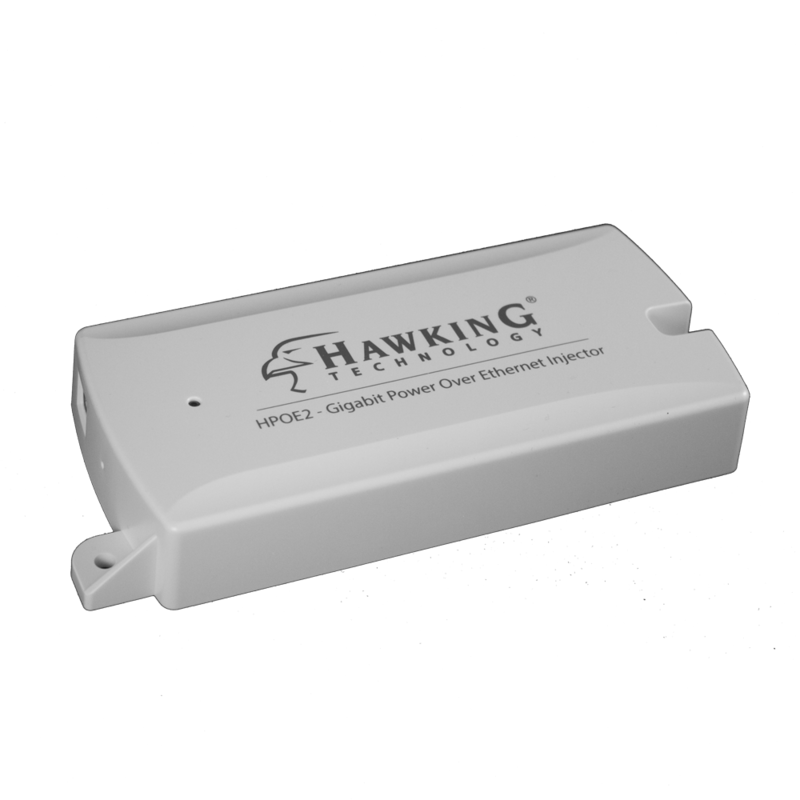 The Hawking Outdoor Smart Wi-Fi Repeater is an addition to our award winning line of Hi-Gain Wi-Fi Range Extending Products with heavy duty weather proof design. Similar to the Hawking's HW2R1 Smart Repeater, the HOW2R1 Outdoor Smart Repeater is engineered with two Wi-Fi radios, one radio for picking up signals from your wireless source or hotspot and one radio for repeating wireless signals. For added performance, the Outdoor Smart Repeater is designed with three antennas, one built-in antenna is dedicated to receiving wireless signals while the other two 5dBi external antennas are dedicated to rebroadcasting wireless signals throughout your surroundings. 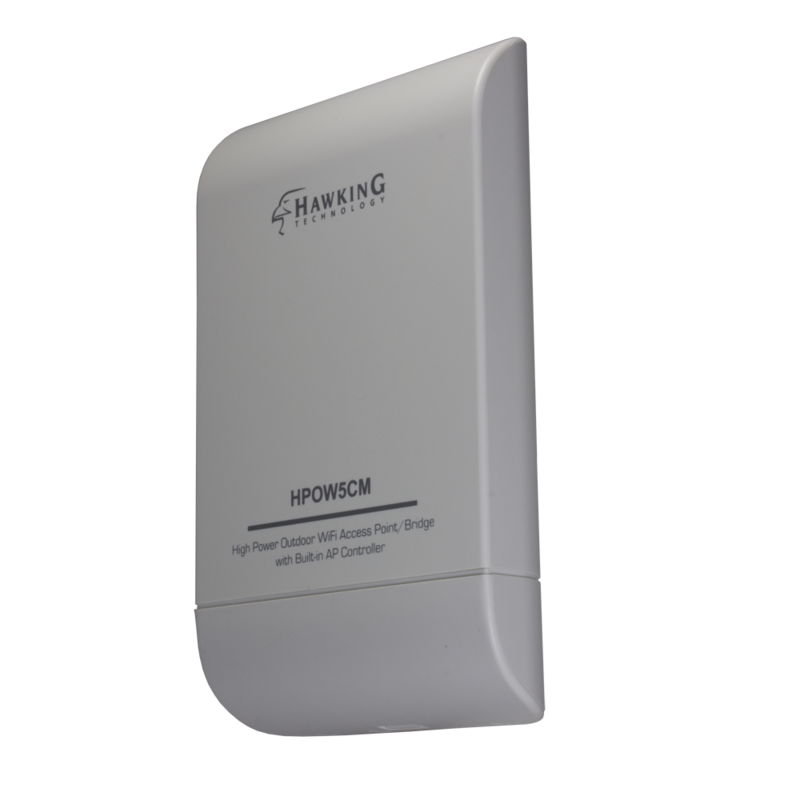 This Outdoor Smart Repeater is an ideal solution for marine docks, RV parks, adjacent offices and large homes with the need for a high performance Wi-Fi solution. The HOW2R1 provides security and functionality via a full featured firewall and router. The Hawking Dual-Radio Smart Repeater features Two Wi-Fi Radios, one for receiving and one for broadcasting. The receiving radio is connected to a 11dBi Antenna and a high-power module for an unsurpassable receiving strength, which let's the repeater pick up signal 6X further than any standard repeater in the market. The broadcast signal is also attached to two powerful 5dBi Omni-Directional, allowing you to share the receiving signal with multiple devices. Also, the HOW2R1 also includes one Ethernet port for wired device. 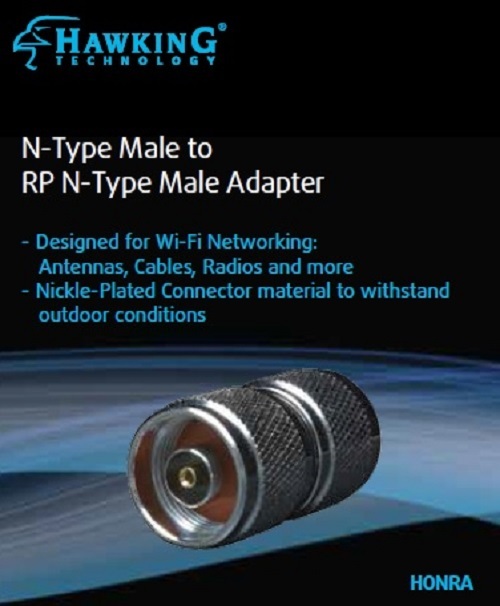 With High Power Output, the HOW2R1 provides unsurpassable receiving strength for long range Wi-Fi applications. 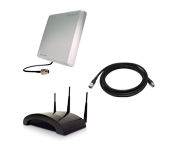 Click on the Product Guide icon to see which Hawking Technologies Wireless Repeater/ Range Extender right for you. The HOW2r! Hi-Gain Outdoor Dual Radio Smart Repeater is a great wireless solution for consumers looking for a powerful repeater with full firewall and router features.